OAKLAND, CA. – Jan David Winitz, president and founder of Claremont Rug Company, has spent more than three decades building a world-class inventory of 19th century, art-level Oriental rugs from the Second Golden Age of Persian Weaving. Over the years, he has advised clients regarding how to effectively decorate their homes with antique carpets and how to build private collections. Recently, he has begun to set down what he has learned into a series of articles that answers many of the questions that have been posed to him. In this narrative, the first in the series, he discusses the history of antique rug collecting and the integral role they play in the contemporary home. The article also provides a handy set of “rules of thumb” for selecting specific carpets for various applications in the home. More information about Claremont’s 4000-rug inventory are available on the website, where 1,000+ pieces are displayed. Where my rugs and I am, this is my home. Oriental rugs have been an integral part of Western habitations for centuries. They originally came to the Western World with Marco Polo in the late 13th century, and became staples in the private dwellings of King Henry VIII, Elizabeth I and France’s Henry II. In more recent times, they could be found in the private homes — as well as in the creative work — of Henri Matisse, who used them in his paintings, and Frank Lloyd Wright, who incorporated them into the homes he designed. Corporate titans J.P. Morgan, Cornelius Vanderbilt and Henry Frick Clay were all impassioned collectors. William Randolph Hearst placed rugs throughout San Simeon, his 56-bedroom castle. Sigmund Freud owned a substantial collection. Today, a broad range of art aficionados continue to enjoy the allure of living with Oriental carpets in their primary residences, vacation homes, offices and working studios, as well as in private yachts and airplanes. For over three decades, I’ve been privileged to share my knowledge and expertise with clients, helping them to incorporate the artistry of antique rugs into their lives. 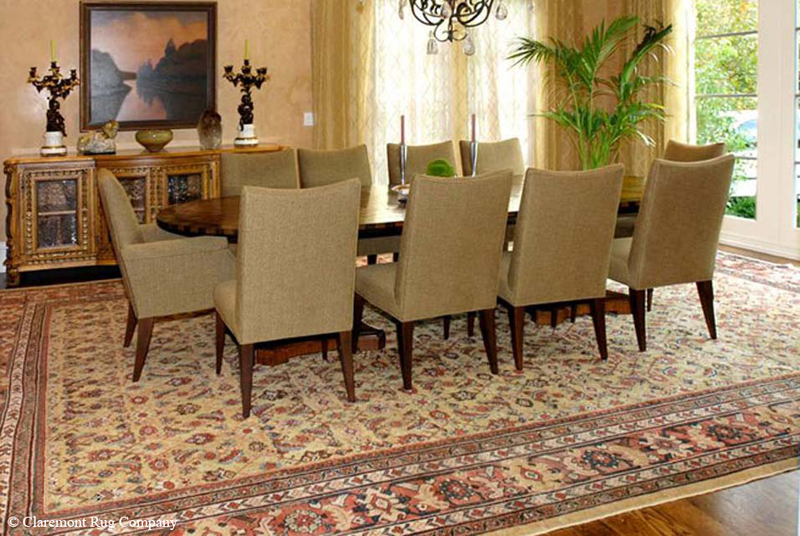 In approaching the addition of fine Oriental rugs to a decor, I like to begin with a single question: what is a home? Ideally, it’s a sanctuary, a nurturing environment where the psyche can rest and emotions regain their balance, where one can relax after the responsibilities the day, and “rejuvenate” for the days to come. It’s a counterpoint to the increasing pace of modern life. A home is a place furnished with objects that express one’s passions and history, tastes and values. It’s an intimate refuge conducive to both creative solitude and time spent with family and friends. I have seen over and over again how art-level vintage rugs add immeasurably to the quality and character of this haven. 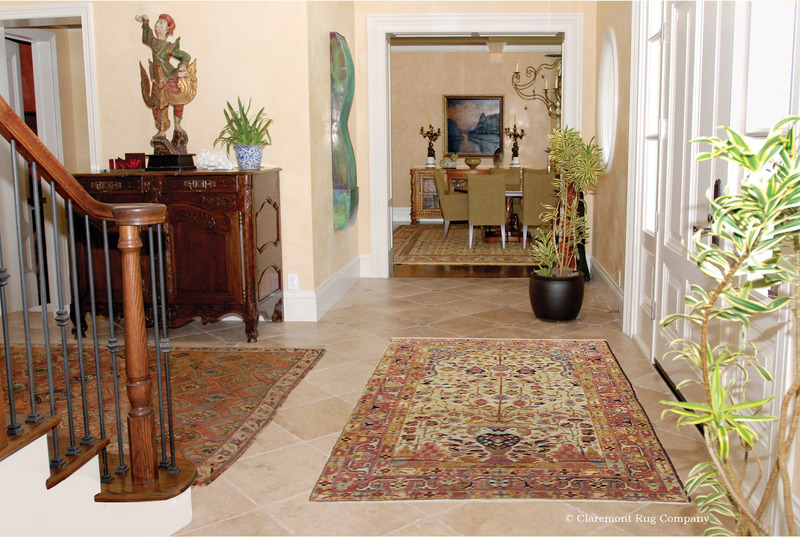 A rare Serapi “Vase” rug sets the tone for this connoisseur’s elegant home. So where does one start and what should be considered as the process begins? Some new buyers are uncertain about the merits of choosing authentic antique or vintage rugs over modern reproductions, so prevalent in today’s market. Some clients put enormous attention into the craftsmanship and detail work of their homes, but give little thought to the quality of what goes on the floors. They may think that a contemporary reproduction is a safer choice, its condition unquestionable, its colors, design, and even its size, available on demand. But the difference between a venerable antique rug and a new floor covering is even greater than the difference between an original work of art and a poster that depicts it. Just as there are no shortcuts when it comes to aging wine, there are none here. Only the passage of time, use and exposure to light can combine to achieve the luster and inner glow -the patina- of aged, naturally dyed wool, which has a substantial range of tones and textures to begin with. These elements combine to soften, add nuance, and at the same time heighten the colors and give the designs a tremendous sense of dimensionality. Younger rugs inevitably look flat and lifeless beside them. For large rooms with high ceilings, choose deeper, contrasting colors that have “weight” and larger, more graphic designs. Soft, low-contrast hues will often look “lost” in a high-volume space. Lacking enough presence, they “wash out.” They will, however, come to life in smaller, more intimate settings. The inclination for many clients is often to furnish a large room with a single oversized or palace-size carpet. In some cases, this creates a majestic, very well integrated ambiance. The carpet will serve as a canvas, enveloping the room’s occupants in the artistry of the weaver’s world, offering the experience of living within the artwork. In other cases, however, a single carpet of great size will create an effect more suited to a hotel lobby than a home. In this case, it’s wise to consider several smaller pieces that work well together. These will help “ground” the room and also differentiate seating areas. In an 18 by 30 foot room, for example, one might use a 11×16 in the major seating area, a 5×7 under the coffee table, and a 8×10 under the piano. Using a series of smaller pieces, placed partway beneath major pieces of furniture, will expose artistic elements of the rugs, rather than obscuring them. For the dining room, many tend to think in terms of an overall pattern rather than a carpet with a central medallion, as they fear the medallion will be hidden beneath the table. However, many of these same clients end up choosing a medallion rug. They discover that the medallion carpets usually feature wider, more compelling borders and corner pieces that frame both the room and the table, adding elegance and visual interest. The medallion will peek out intriguingly. Under a glass-topped table, the medallion will “magnify” and will serve as a focal point of the room. This being said, most important for a dining room is to choose a carpet that offers especially beautiful and interesting borders and corner pieces. Though usually thought of as places to be passed through, halls and corridors have great design potential. A well-chosen runner looks entrancing when “framed” by the walls of a hallway. For longer hallways, multiple runners can create an engaging artistic impression. Rugs can be used to accentuate a home’s overall color and design themes. But in many cases, it is even more exciting when different styles and color palettes are used to give each room its own particular character. The condition of a rug often will dictate where it should be used. Personal libraries, bedrooms and home offices can be ideal for more fragile pieces. The graphic composition of many pieces lends themselves to being hung vertically, adding dignity and sophistication to a wall and the room it stands in. Woven by a single weaver on upright looms, 3×4 to 5×7 art rugs are enrapturing when viewed at eye level, which reveals their numerous subtle details and nuances of color. As life speeds up, high-caliber vintage carpets offer us the opportunity to slow down, to enjoy the work of the tremendously dexterous weavers who spent months, even years, to lovingly create a single piece. Living with art-level rugs affords us the opportunity to look deeply at and create a relationship with these artifacts that emanate a level of balance of balance and harmony that is deeply nurturing. In our second article, we will examine how to make decisions about rug styles that blend with individual architecture, art and furnishings. We also invite you to visit our website (www.claremontrug.com), which showcases screen-size photos and descriptions of 1,000+ pieces. Many use the site to learn about the gamut of styles and age groups of art-level rugs. Others use it as a device to hone their taste and gain inspiration from viewing images of over 60 clients’ rooms we have furnished, showing how art rugs greatly enhance architectural styles from traditional to contemporary and high-tech.  We take great satisfaction in what we do. It’s hard to imagine anything more gratifying than incorporating these objects of profound artistry from the past into contemporary living spaces. We look forward to the possibility of sharing our passion with you.